Taia Harlos received her Bachelor’s of Music in Performance and Masters of Music in Teaching from the Oberlin Conservatory, under the tutelage of world-reknown Greg Fulkerson. 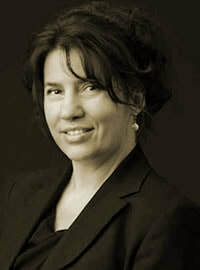 She has been a member of the Fairmount String Quartet & Chamber Ensemble since 2001 and has also performed with the Philadelphia Opera Company, Philadelphia Virtuosi Chamber Orchestra, Delaware Symphony, Lancaster Symphony, Philadelphia Classical Symphony, Philly Pops, Vox Amadeus, Elysian Camerata, Haddonfield Symphony and the Newtown Chamber Orchestra, and has served as concertmaster for the Mozart & Friends Opera Company; she has performed with a wide range of musicians, from Joshua Bell to Natalie Cole. Summer festivals include the Spoleto Festival Orchestra in the USA and Italy, and the Mt. Gretna Music Festival. She credits her passion for chamber music and classical repertoire to her work with Lius Biava, David Arben, Norman Carol, and the fabulous musicians with whom she plays on a regular basis. She is an active solo and chamber music recitalist in the tri-state area. Taia is the Head of the Music Department at Germantown Friends School where she is committed to the growth and musical education of her students. In addition to her performance and school teaching responsibilities, she also enjoys a private studio of violin and viola students. When she is not involved in musical activities, she works as an expedition canoe guide in the summer, and enjoys snowboarding and dog sledding in the winter with her husband, Jeff.